I have been working with the fiercest plus size bodies for more than 8 years now. And although some have already awakened their Erzulliesta within, some are just about to have their Universe shaken up. What do I mean by that? There are some who come by the showroom to start their journey towards it. With that in mind, they tend to still carry with them some body myths that are not helpful to their journey. And hopefully, with a bit of time shared with us, they are able to let them go. 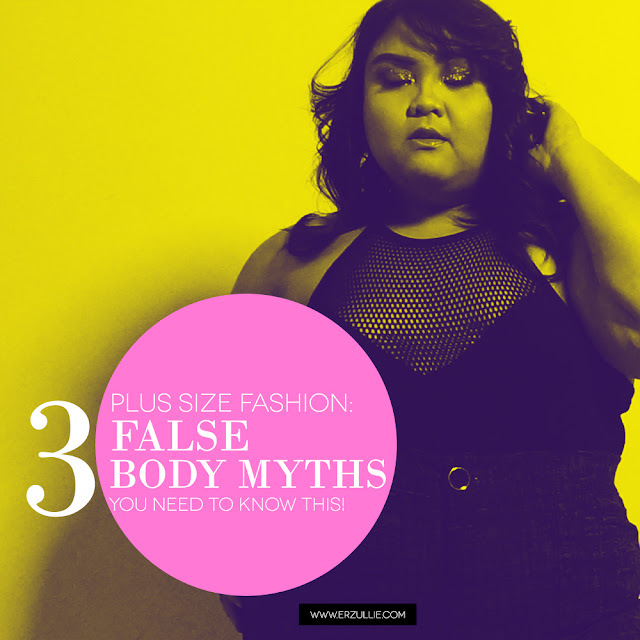 So what are these body myths? I am yet to meet a woman who does not have one and until that day comes, all that I can say is that… ALL WOMEN have a waist line. It is basically the smallest part of your torso. And even if you “think” you do not have one, grab a belt and make one. Place it at the most comfortable and smallest part of your torso and there it is! Actually, I think the term we are all really looking for is “flattering”. Flattering means it looks good on you and what “looks good on you” is a very fluid concept for fashion. I mean think about it, some regular size women love adding volume and their aim is to add and make a specific shape that looks pleasing to the eye. Oversize is even a trend in fashion! So it is not just about looking slim. It is about looking flattering. Furthermore, you can “look slim” with some fashion pieces of course, but if it is umcomfortable, you know you will never wear it! Oh goodness. No. Other numbers like blood pressure, blood count, heartbeat rate and so on are the direct indications and reflections of your health. DRESS SIZE depends on fabric and style. You will bounce from one size to another DEPENDING on those two characteristics. So please, for the sake of your own health, never consult your stylist for your physical well-being! Lol.